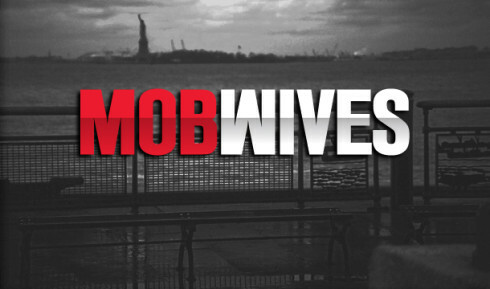 Premiering Sunday, April 17 at 8 p.m. the new reality show, Mob Wives, will air on VH1. Cameras will follow the lives of four Staten Island women who are “allegedly” associated with members of the mob. Dressing in furs, high heels, dresses but living as a single mother life trying to make it on their own becomes difficult the ladies say. The women are long time friends who live in New York City’s, Staten Island. The cast consist of four women; Renee Graziano, Karen Gravano, Drita D’avanzo and Carla Facciolo. The four women will have to pull everything together for themselves and family after their husbands or fathers were sentenced to prison for mob- related crimes. Renee Graziano is known as the drama queen of the group. She is the daughter of Anthony “The Little Guy” Graiano, the consigliore of the Bonanno crime family. He is serving 11-years in jail for tax evasion, racketeering, and conspiracy. She is divorced from Hector Pagan Jr., who was arrested last year for convicted of running a marijuana distribution. Together they have a son, AJ, who does not want to become involved with the mob. Karen Gravano is the daughter of mob turncoat Sammy “the Bull” Gravano, which is currently serving 19-years in prison for murders. She is returning home to the Staten Island after she was moved away for 10-years by the federal government’s witness protection program to Arizona. While she was in Arizona, she served years on probation after she was implicated in drug ring her father confessed to running. “Family to me is extremely important. I feel like the people you need to be loyal to in life is the family,” says Gravano. Drita D’avanzo comes from an Albanian household who was disowned when she married New Springville Boys gang member, Lee D’avanzo, who dated Karen Gravano before getting married. The couple has been married for 12-years but shortly after the marriage, Lee was sentenced to prison. He went to prison for bank robbery when Drita was pregnant with their first daughter, Aleeya. He was released three years ago, got a job and the couple had another daughter, Gizelle. But he was arrested again for a bank robbery, and is now serving a two to five year sentence. Drita is currently working as freelance make-up artist to support her family. “Everything I do, everything I think to do, revolves around my family. Without my family I would have nothing,” says Drita. Carla Facciolo grew up around the mob in Brooklyn, when her dad was sent to prison at the age of 7. She later married Joseph Ferragamo, a stock broker. He is currently serving an 88-month sentence for stock fraud. Going through the process of divorce, Ferragamo in jail; Facciolo raises their twins by herself. The reality show revolves around Karen Gravano, daughter of Sammy “Bull” Gravano. Her father was the mob turncoat who testified against John Gotti and the Gambino crime family then later. She was moved to Arizona with her father and family as part of the federal government’s witness protection program. She’s moving back to Staten Island after 10-years, where the daughter of the mob’s most famous “rat” is not welcome. “Mob Wives” will air for ten episodes of set in Staten Island, N.Y., credited Jennifer Graziano as the creator and executive producer of reality television series. Khloé Kardashian, a regular member of “Keeping Up With the Kardashians” reality show; Lamar Odom the American professional basketball player for the Los Angeles Lakers, married just after dating for only a month? In case you haven’t heard, just as Kourtney & Kim Take New York comes to the end of the season, Khloe and Lamar Odom will star in their own reality show, Khloé & Lamar. The show is set to air Sunday nights in April. How exciting is this?! Not long after the marriage the official decision for the couple to star in their own reality show on E! News will begin filming after Odom’s season with the Lakers. The couple will invite camera into their home and will give an inside of their life together, their marriage, career, and their plans on having children,. The show will also feature Robert Kardashian and will play a major role in the show since he became a semi-permanent house guest. The reality show will focus on Kholé’s life after marriage and how she will manages with Odom’s kids from his previous wife. It will illustrate Kholé s as a step-mom to 12 year old Destiny and eight-year-old Lamar Junior. California? Miami? and now The Big Apple: NYC! New York welcomes Kourtney and Kim Kardashian with open arms with the season premier for their new reality show, Kourtney and Kim take New York, on Sunday, January 23, at 10 PM Eastern, on E! News. Kourtney and Kim will be looking for DASH’s new location in NYC. The girls are slowly but surely making their name across the world building up their high-end clothing store, “DASH”. The first location of DASH is located in Calabasas, California but the big move was when Kourtney and Khole moved to Miami opening up their second DASH clothing store. Kourtney and Khole took over Miami for two whole seasons on E! News. DASH Miami attracted an outstanding amount of media and began to make a outstanding name for the store, so why settle? The girls quickly took the outstanding business amount from Miami and came up with the brilliant idea to expand. Kourtney and Kim will soon be taking over The Big Apple in search of the third location for DASH. Opening up DASH in NYC the girls will continue the sister created high-end clothing store, possibly expanding across the United States. This season is going to be filled with excitement, drama, romance, and work. Stay tuned! Watch Kourtney and Kim take New York this Sunday at 10, Eastern time. Followed by the season premiere of Holly Madison show “Holly’s World”. (Hugh Hefner’s ex-girlfriend) at 10:30. This post is defined as timeless and prominence. Timeliness because it is recent in time as the beginging of the opening season for Kourtney and Kim take New York. Prominence because the show is based on the celebrity lifestyle of Kourtney and Kim Kardashian.